As you may recall, longtime Internet veteran company Yahoo reported last week that it was hit by a very nasty hack in 2014. On top of this came news this week revealing Yahoo has ignored vital security upgrades, to avoid scaring off potential users. This is something that’s (in my opinion) particularly appalling. While the usual post-hack security tips still apply, some might instead be fed up with Yahoo entirely, and would like instead to just dump it once and for all. This could go for both the few lingering heavy Yahoo mail users, as well as those only using a few Yahoo services (such as Flickr) or left their Yahoo mail account dormant. Most people have long since switched to other online services. However, for those wanting to switch, here’s my suggested alternatives to Yahoo’s most popular services. Google’s Gmail email service eclipsed Yahoo as the most popular webmail service years ago. That said, it’s a very well done free email service. A Gmail account also gives you access to the broad family of Google services, from Google Docs (or “G Suite“) to Google Play Music. Yahoo’s made improvements in recent years to its Flickr photo sharing service, including a long-overdue revamped smartphone app. There’s also Flickr’s Creative Commons photos, which’re still useful. However, if you want to dump Flickr, I’d suggest Google Photos as a broad photo backup service. Android users will find it’s already included by default, though iOS users can download and install the Google Photos app. Instagram’s a service I recently signed up for. So far, it’s been a decent service for sharing random photos. Professional photographers, or serious amateurs, might want to consider 500px. While there’s a free tier, the paid services are probably the main draw for 500px. While WordPress.com is an excellent free blogging service, it doesn’t have the community features that Tumblr has. Combining WordPress (or Google’s Blogspot) with social media usage (Facebook, Twitter) might be an option. Fantasy sports is probably one of Yahoo’s few popular features these days. But if you’re looking for alternatives, ESPN and CBS Sports seem to be popular. Instant Messaging doesn’t seem as popular as it once was. Social networks now offer IM-like messaging services, and text messaging alternatives like WhatsApp have grown in popularity. For that matter, text messaging itself is also still prominent on phones. Yahoo’s Weather app is pretty well done. However, there’s plenty of weather-related apps available these days, including the Weather Channel, WeatherBug, Weather Underground, and others. The above apps aside, most phones now come with default weather apps or features, anyway. Google, Bing, and DuckDuckGo also offer weather services in their search engines. And, of course, weather-related websites can be accessed via any browser. Google, of course, is the king of web search nowadays, having claimed such by doing web searching better than the previous leader did. The previous leader, of course, was Yahoo. There’s also Bing as an option. Yahoo’s search services have been powered by Bing for some time now, so one may as well cut out the middleman and using Bing directly. Finally, DuckDuckGo is fairly popular, as a more private, less intrusive search engine. 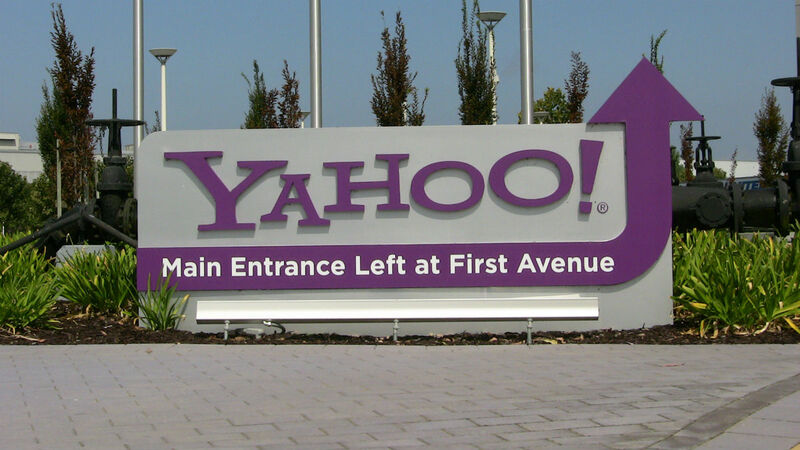 Things could still improve for Yahoo if and when its purchase by Verizon finally goes through. However, after the past week’s worth of news, that’s probably an extremely optimistic view at this point. Do any of you still use any Yahoo services? Nice alternative tips. It surprises me how many people are still rocking the @yahoo.com email address. I have about 295 people in my address book with such an email address. I’d love to meet someone who still uses Yahoo’s IM service. Every now and then, I’ll launch Yahoo Messenger, just for kicks. Total ghost town. Flickr is still the best photo service out there. I used to regularly use Yahoo IM, or at least via Pidgin for Linux. These days, Twitter’s messaging seems to fill the same role.